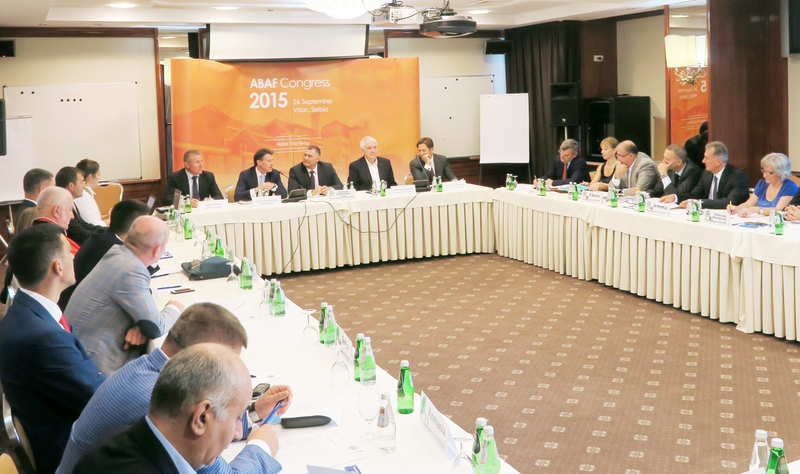 All the 15 member federations were present at the Balkan Congress 2015. Also in attendance were IAAF President Lord Sebastian Coe, European Athletics President Svein Arne Hansen, IAAF Vice President Sergey Bubka. 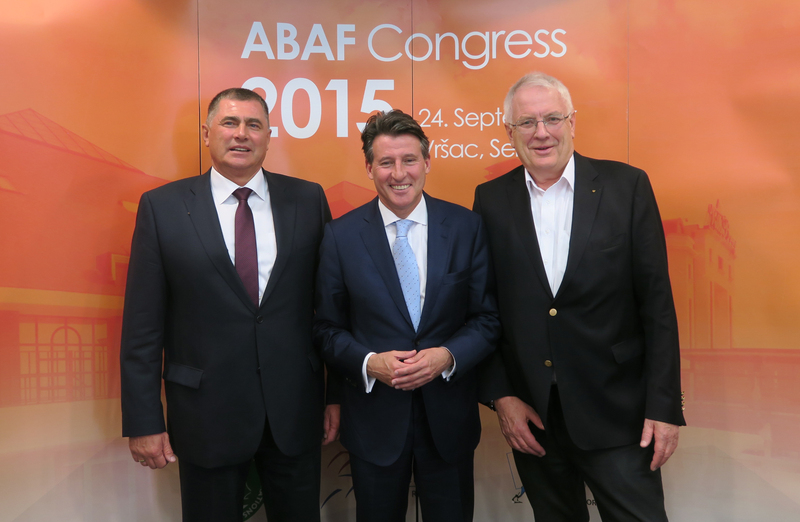 This was the first official visit of Sebastian Coe since his election a month ago. Congress. It is composed of two Delegates per Member Federation, meets once a year and each Federation has one vote. The Congress has the supreme authority. Presidential Council, composed of the Presidents of the member federation, or in case the President is not available, a person specifically nominated by the President. It meets at least twice a year along with the Balkan Indoor and the Balkan Senior Championships. Executive Board, composed of the President, two Vice Presidents who are elected for 4 years term, a Financial and Marketing Director and a General Secretary, the latter two appointed by the President. Fatih Cintimar (TUR) and Slobodan Brankovic (SRB) were elected Vice Presdients and Ion Sandu (ROU) was appointed Marketing Director. Galia Puhaleva (BUL) continues as General Secretary. The Calendar for 2016 was decided. It can be found HERE and in the Calendar section. 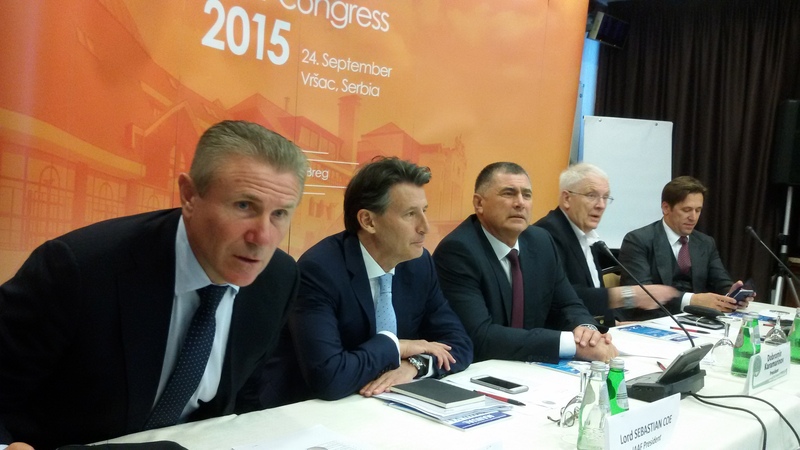 The Balkan Athletics family extended with one more member federation. Israel was affiliated as the 16th member federation and will be hosting the next Congress in September 2016. The Prime Minister of Serbia Aleksandar Vučić gave a reception for Coe, Hansen, Bubka, Karamarinov and the Serbian Federation President and General Secretary Veselin Jevrosimoc and Slobodan Brankovic. 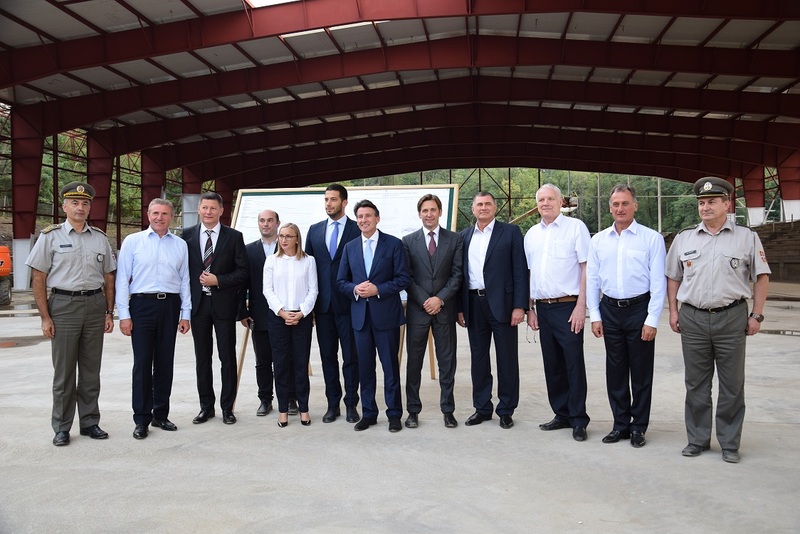 The delegation then visited the Indoor Arena in Belgrade which is being reconstructed and getting ready to host the European Indoor Championships 2017, where they Serbian Minister of Youth and Sports Vanja Udovicic joined them.